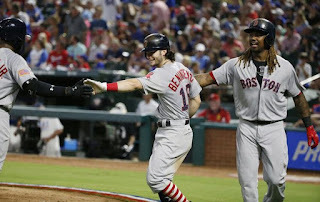 Andrew Benintendi (pictured) hit two home runs and drove in six to help lead the Red Sox to an 11-4 win over the Rangers in Texas on Tuesday night. It was all part of a five-hit performance for the Boston rookie who also made a spectacular catch in left field to rob Mike Napoli of extra bases. 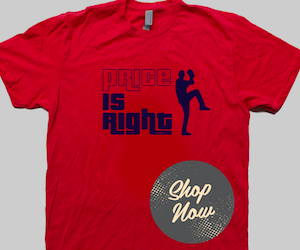 David Price tossed six shutout innings, improving his record to 4-2. He scattered six hits and walked two while striking out nine in lowering his ERA to 4.02. The Red Sox offense pounded out 19 hits off Rangers pitchers with three hits apiece for Jackie Bradley Jr., Christian Vazquez and Tzu-Wei Lin. 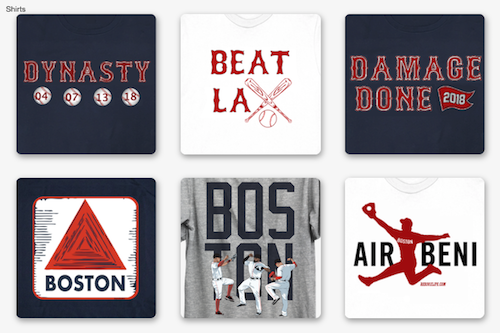 The win was Boston's sixth in a row and their fourth straight Independence Day victory. They increased their lead over the Yankees to four games in the American League East and are now a season-high fourteen games over .500.